All the mysticism surrounding Praanaayam is just one thing – your breath. The belly-pumping, the shoulder shrugs, and the fingers on noses you have seen is only to achieve one thing – breath control. Why? 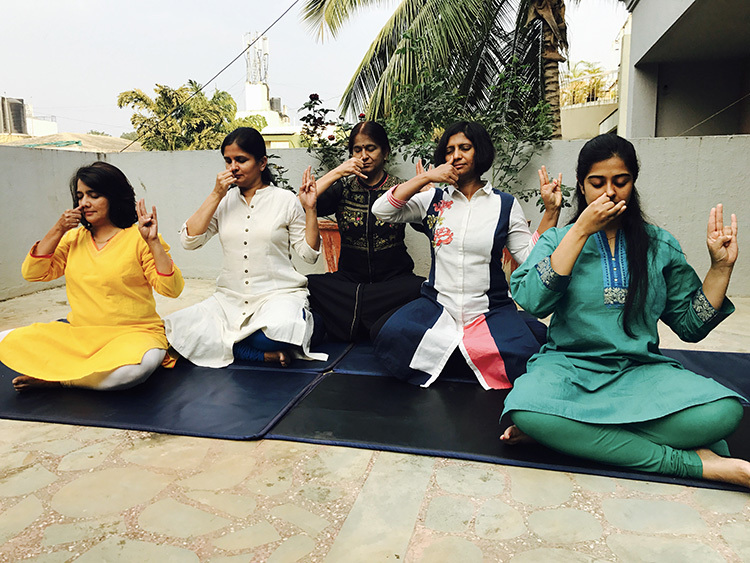 Pranayama is the yogic science of balancing and regulating vital energy or prana through the skilful manipulation of breath. Our breath is pivotal to our physical, mental, emotional and spiritual well being. Yet, most of us however take our breath for granted, because we know not its importance. Breathing is really the most accessible source of creating and sustaining our vital energy – to regain health and harmony. Our Praanaayam classes and sections of Praanaayam in regular classes start of with correcting the faulty ways in which we breath. 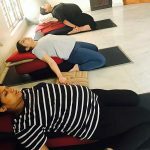 We then break down each Praanayam practice, one at a time, session after session introducing you to the wide world of Pranaayam. Like everything we do at Param Yoga, we focus on doing the practice right and with awareness than doing it mechanically for longer durations. Breath awareness – we go into this in great detail in our classes. Brings about a positive change in attitude. Purifies the system from within. Creates inner awareness and sensitivity. Opens the window to your ownmind power – memory, focus and clarity. Brings about the all-important third person attitude.